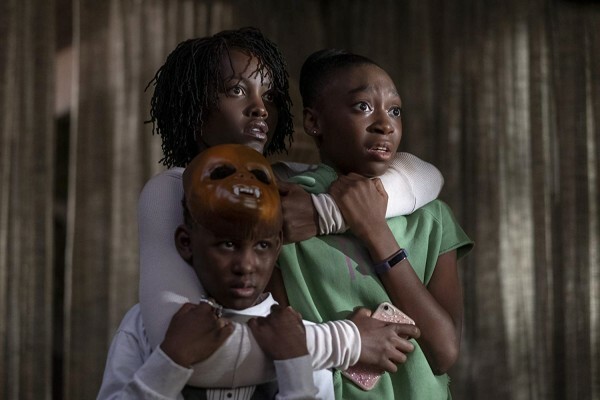 Us is a 2019 psychological horror film, written and directed by Jordan Peele and starring Lupita Nyong'o. Thirty years after experiencing a traumatic event as a child, Adelaide, now a mother, (Nyong'o) returns to Santa Cruz, California on holiday with her family. After unsuccessfully trying to convince her husband they should go, Adelaide and her family are set upon and terrorised by doppelgangers - hence the title of the film... "Who are these people?" 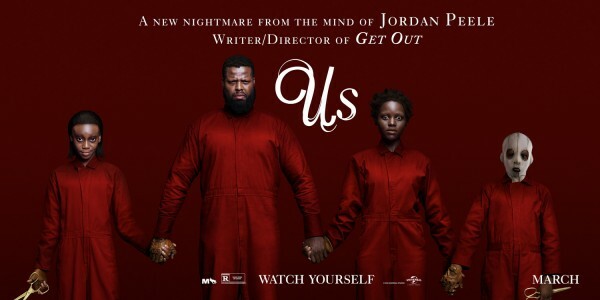 "It's us..."
One thing that surprised about Get Out, Jordan Peele's first feature film, was how easily humour and terror were blended together. In Us, it's even more seamless. None of the jokes made feel unearned, they perfectly capture the awkward reactions of people trying to process a bizarre situation. Conversely, the humour doesn't derail the seriousness of the plot points either. This balance is perfectly shown in a scene where Adelaide is trying to explain her trauma to her husband, who doesn't understand and tries to make light of the situation. The audience can be unnerved by Adelaide's fear and have the tension broken by her husband's buffoonery at the same time. Another fantastic element to this film is its choreography. The doppelgangers have a stilted, uncanny valley manner of moving and every actor manages to portray it perfectly. It should also be mentioned that every actor is playing two parts - themselves and their doppelgangers, with subtle differences - and the whole thing is entirely believable. The music, scored by Michael Abels, is great as well, using the creepy cliches of horror music, but managing to convey a sense of melancholy throughout.